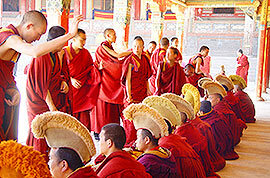 Q: where should I go first to start my China Tibet Tour? I want to travel to China, and Tibet is the must-go. So where should I go first to start my China Tibet Tour? 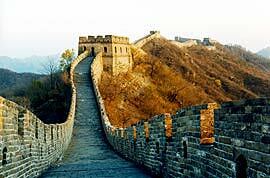 If you do an Internet search for something like "china tours", you will have a lot of websites to choose from to get sample itineraries. After a while you'll see they list the same dozen or so places to visit throughout the country. Of course there is more to see than what's offered on a standard packaged tour. Depends on what you want. I'm not suggesting you go on an organized tour. That will be up to you. But as far as where to start, end, and what to do in between, package tours will give you a fair idea of how to plan your trip. For international visitors, most people start and end their trips at Beijing, Shanghai, or Honk Kong. There are other options. Also note for visa purposes Hong Kong is treated separately from Mainland China. Take note that foreigners need special permits to enter and travel about Tibet. You have to be part of organized tour group, which could be as little as two visitors. Check out the Get In section of this Wikitravel webpage: https://wikitravel.org/en/Tibet The new rules for permits are very restrictive, and you may have to apply at least a half year in advance. Finding a reliable tour operator or guide is really important. If you can't adhere to the Tibetan regulations and fit that into your trip, you can have similar experiences by traveling around the western parts of the Sichuan and Yunnan provinces. Tibet restrictions are horrendous and depend on your nationality, the main city is under military occupation with 500 thousand citizens monitored by 200 thousand troops with tents and soldiers at almost every block and crossroad. The tours in 2010 ran about 5 to 10 thousand for your approved tour guide, There are some sites of the beaten path, the nunnery was nice. I don't recommend the slow train there from Beijing for 44 hours but if you like roughing it, it's not bad.